Arjun Waney is a serial restaurateur and club owner operating at the top end of the market whose portfolio includes Zuma, Roka, La Petite Maison and the Dover St Arts Club. 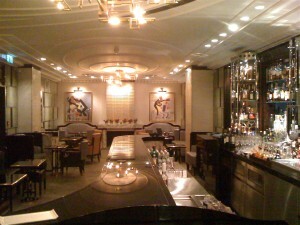 His operations are stylish and sophisticated and the food is very good. 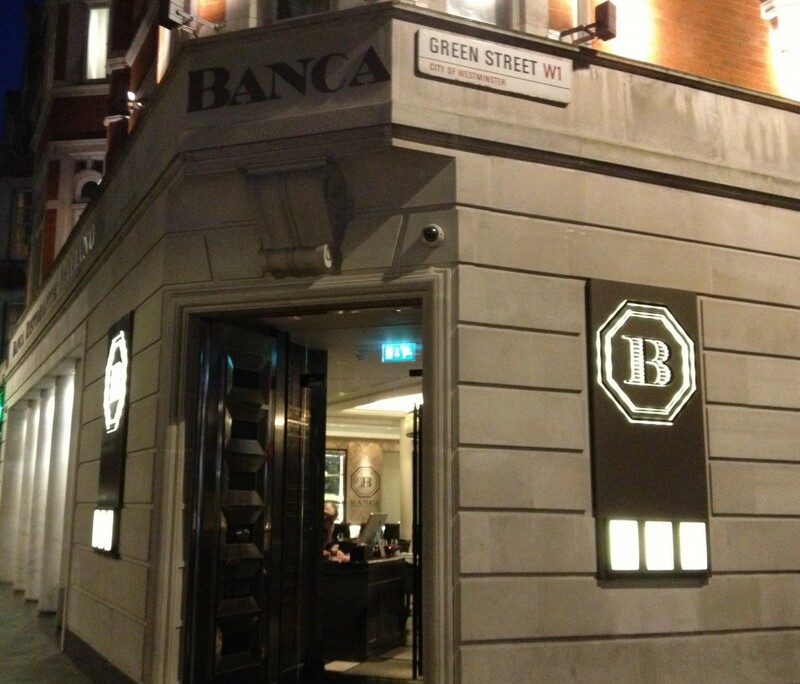 Banca is his Italian restaurant. 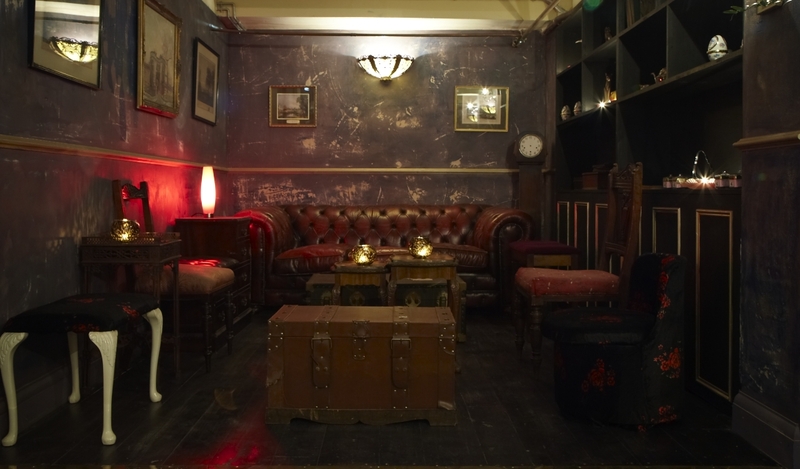 It’s the sort of place you would hope to find in Milan and it sits perfectly in Mayfair. 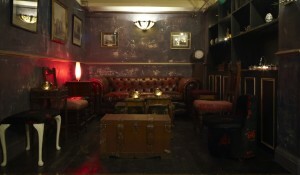 Banca is situated in a converted NatWest bank. 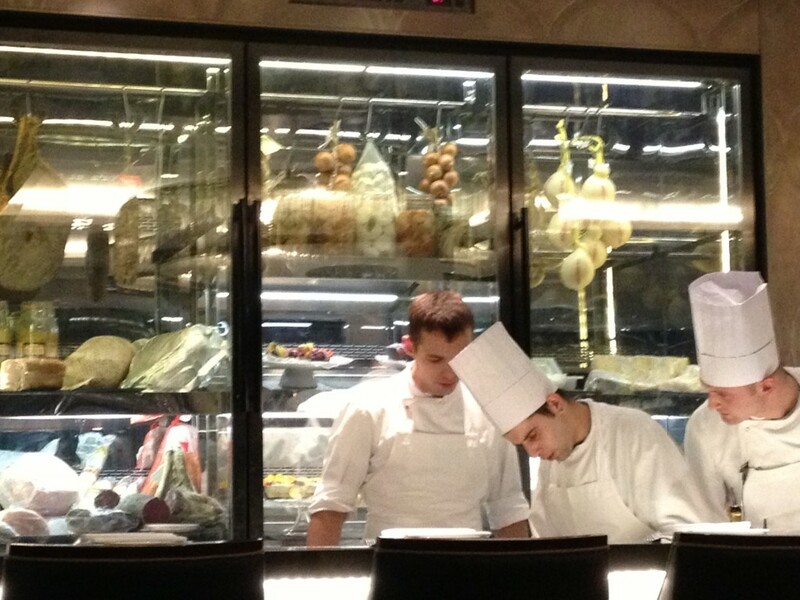 The security boxes are still situated downstairs in the private dining room which overlooks the kitchen. But at Banca it’s not the bank you need to rob but the bar which has a great selection of grappas, vermouth, and particularly vintage amari , those deliciously bitter drinks such as Cynar and Campari that the Italians (and The Hedonist) love so much. 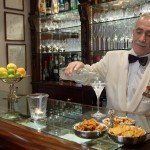 In Milan if you go into a bar or restaurant between about 5 and 7 p.m. there is a magical two hour period known as the ‘Aperitivo’. Order a drink and you will be presented with a choice of delicious savoury snacks. Incredibly wisely those lovely people at Banca have decided to bring this estimable tradition to our grey and fractious Isle. 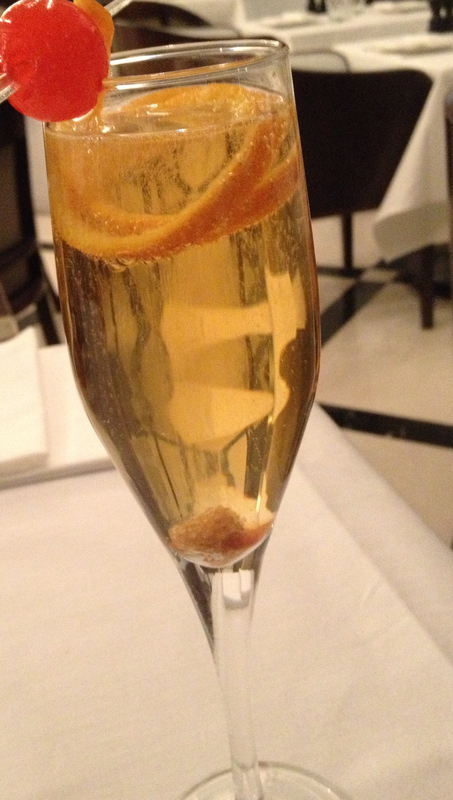 Bellinis were delicious and made with properly fresh peach juice, a ‘secret ingredient’ and excellent Prosecco. 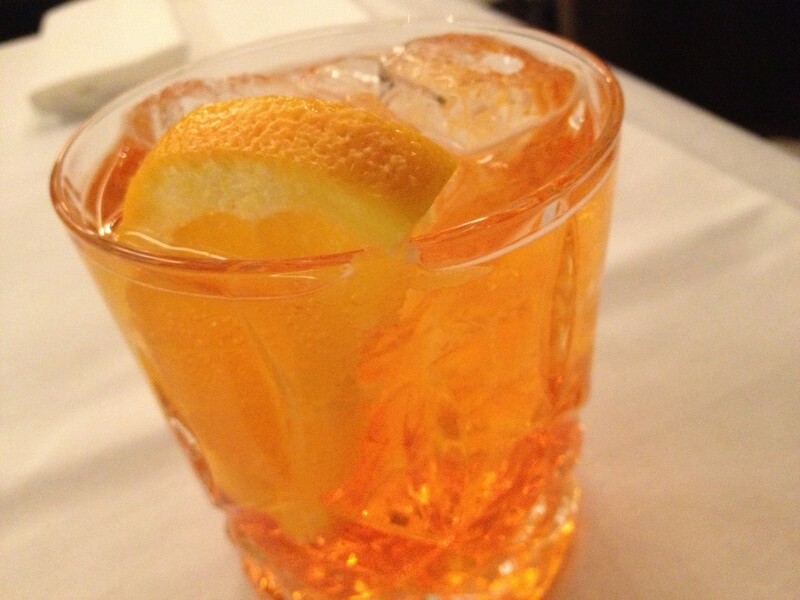 An Aperol Spritz was the perfect balance between the slightly cloying flavour of the Aperol and the fizz-not too sweet. The Champagne cocktail was probably the best I have tried. Brown sugar soaked with Angostura Bitters covered with a shot of Courvoisier brandy and Champagne, then garnished with orange peel. 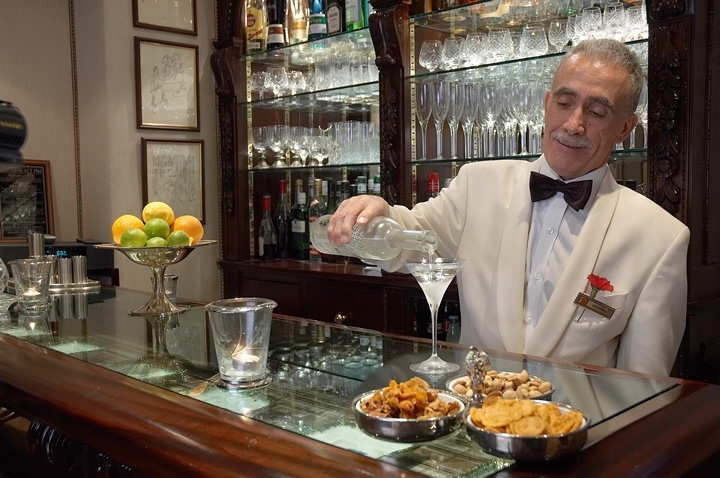 Milanese etiquette dictates that the customer should not make more than one trip to the buffet per drink but with the wide selection on offer at Banca I was sorely tempted. There were olives, pizza, ham, prawn open sandwiches, mini salt cod fish cakes, mini steak tartare, asparagus focaccia and a host of other nibbles to soak up the alcohol. 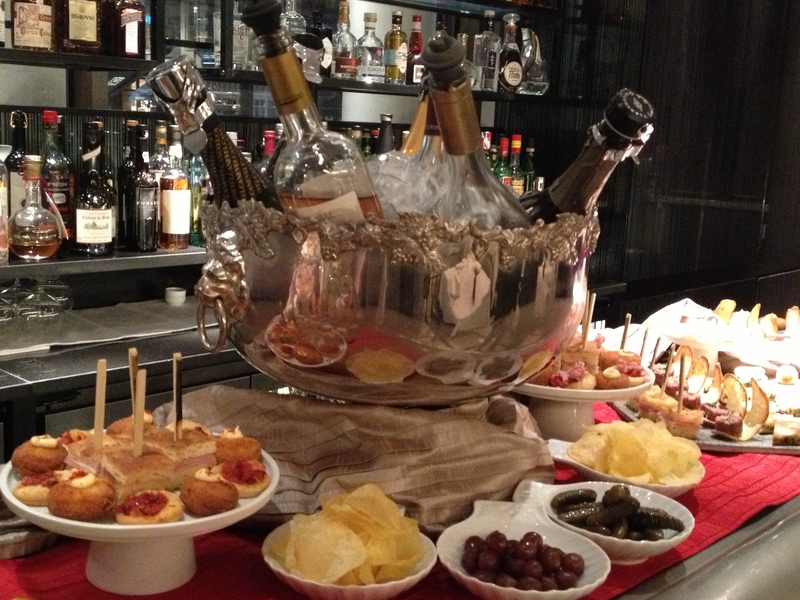 I love the concept of the aperitivo. It’s a wonderfully civilised and pleasurable way of spending time. In fact I could easily spend the rest of my life in glamorous locations drinking cocktails, snacking on tasty bites and making shallow small talk. If that’s your idea of a good time too you should probably head to Banca in the early evening. For Mayfair and the quality of the drinks it is surprisingly reasonably priced and with the complimentary food dare I say it-a bargain. Let’s face it, the world is a cruel and hard place-The Harrod’s sale is sheer hell, going to Harvey Nicks can make you feel as if you have landed on an alien planet ,and a visit to Emporio Armani, where nothing is even close to fitting you, can lead straight to the therapist’s couch. 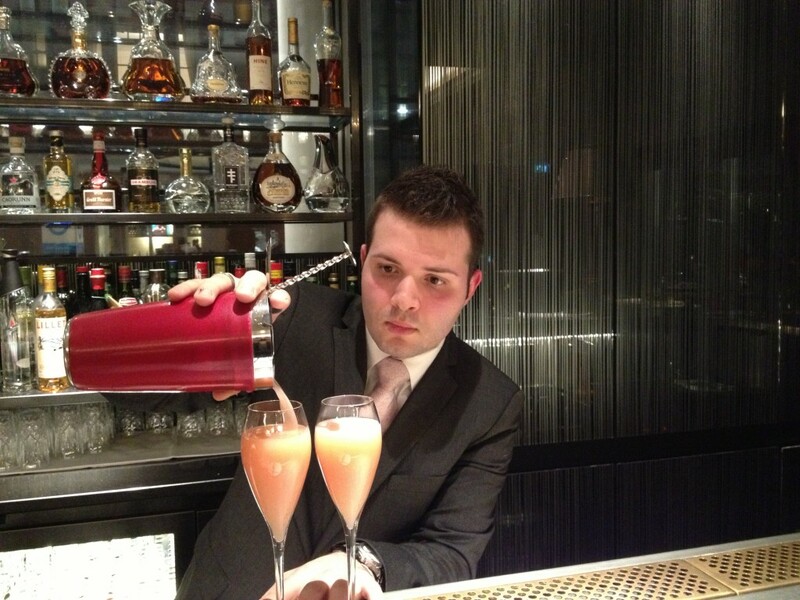 At moments such as these only the tender ministrations of a Italian bartender will do. A comfy chair, a warm glowing fire, the murmuring of polite conversation, some olives and nuts and of course a drink, expertly mixed, will lead you out of your retail angst and restore a sense of order to the world. 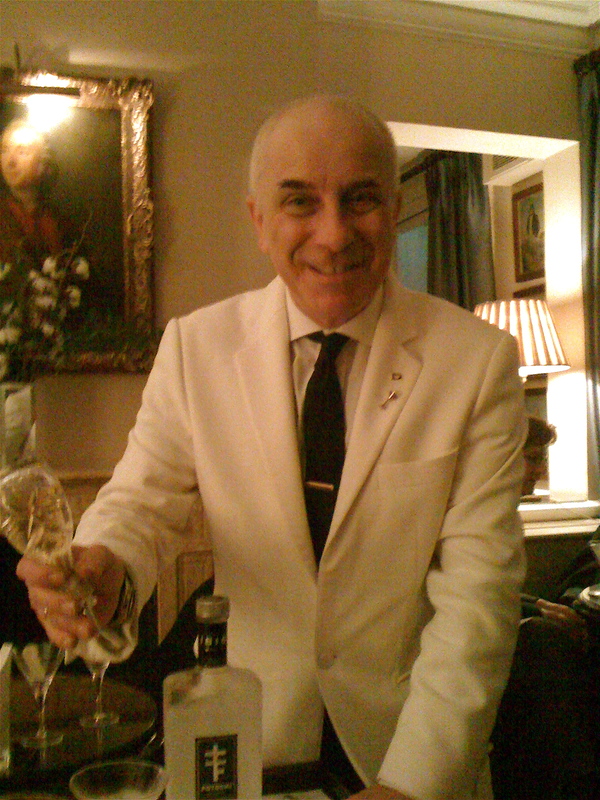 Antonio, the venerable cocktail sage who runs the bar at The Egerton, has the look of a man who looks deep into your soul and not only knows what you want to drink before you do, but can also read all your secrets, foibles and weaknesses whilst remaining the soul of discretion. 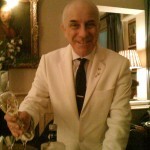 Let him decide what’s best for you, maybe a gin martini with Tanqueray and a lemon twist, or a warming glass of chianti? Sink into the well-upholstered chairs, enjoy the artwork and let nature take its course. 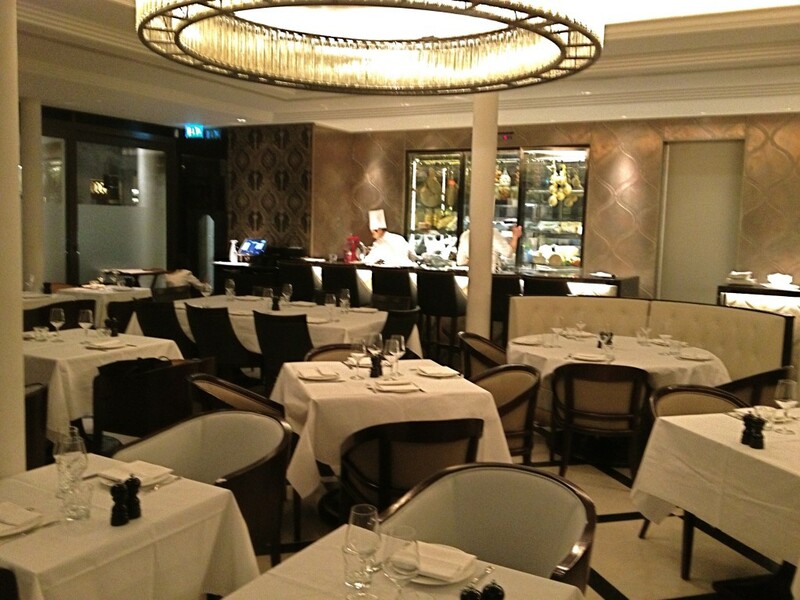 The Egerton is located just behind Knightsbridge and if you want edgy, loud or trendy then go elsewhere, but for the rest of us The Egerton will do very nicely.